Firos Assan's masterpiece, richly applauded by airport officials and the public, is a 66-metre long, 2.5 ft high canvas, stretching along the beam of the airport's departure terminal, that captures Kannur's history. 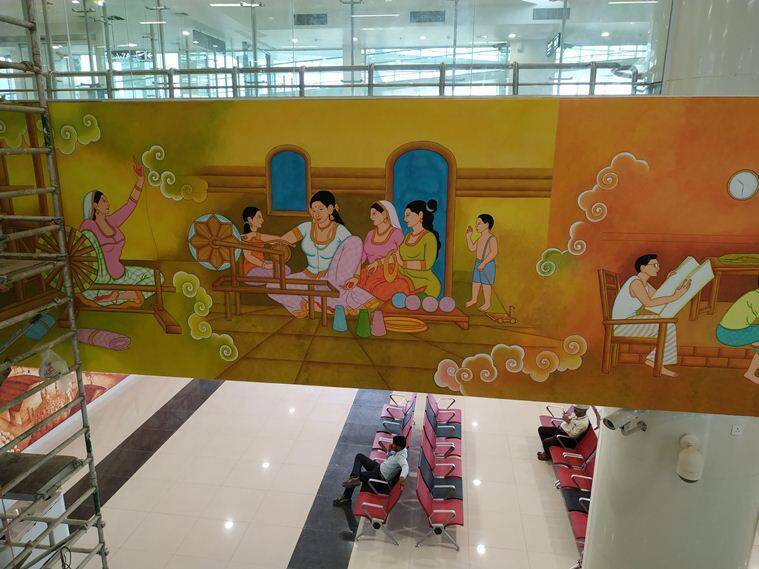 The newly-inaugurated international airport terminal at Kannur in Kerala has an extensive and wide array of artworks that showcase the city’s, and in particular, the Malabar region’s rich and socially powerful cultural history. 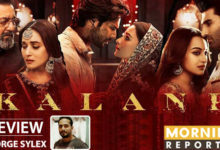 The aim is to present to potential domestic and foreign tourists, the cultural landscape of the region, its dance forms, culinary heritage, its tryst with cinema and the deep fascination the locals share to keep dying art forms still alive. Among them, catching everybody’s attention is one artwork by 38-year-old Firos Assan, a native of Vadakara in neighbouring Kozhikode district. Assan’s masterpiece, richly applauded by airport officials and the public, is a 66-metre long, 2.5 ft high canvas, stretching along the beam of the airport’s departure terminal, that captures Kannur’s history since the time it was under Portuguese occupation. Assan, assisted by a team of five friends, has painted on canvas using acrylic colours portraying Kannur’s famed handloom and coir industries, Thalassery’s bakery culture, the war waged by Kunjali Marakkar against the Portuguese, the historical Arackal family, the fearless Pazhassi Raja and the Satyagraha during the freedom movement. ‘I had submitted a small artwork showing Kerala’s dance rituals such as theyyam, kathakali, oppana in 2016 when a trial flight landed at Kannur airport. It got a lot of appreciation from people at KIAL. It became a subject of discussion at their meetings. So I was called again and contracted to do a bigger one that features prominently at the departure terminal of the airport,’ says Assan. Chief minister Pinarayi Vijayan announces compensation to who lost house and land in floods. The 24-hour strike, which began at Tuesday midnight, will see all major modes of transport in Kerala.